I am back from my Alaska/Canada Wildlife Photo Tour. It was my annual shoot and this time I put the Canon EOS-1D X Mark II camera to more real world tests. In addition to the EOS-1D X Mark II, I brought the EOS-7D Mark II, EF 100-400mm f/4.5-5.6L IS II and EF 400mm f/4 DO IS II lens. You can see my equipment bag and my works on MichaelDanielHo.com. MELVILLE, N.Y., August 3, 2016 – Canon U.S.A., Inc., a leader in digital imaging solutions, will be bringing their service and support expertise to Brazil to help maximize the uptime and performance of its users’ professional imaging equipment. 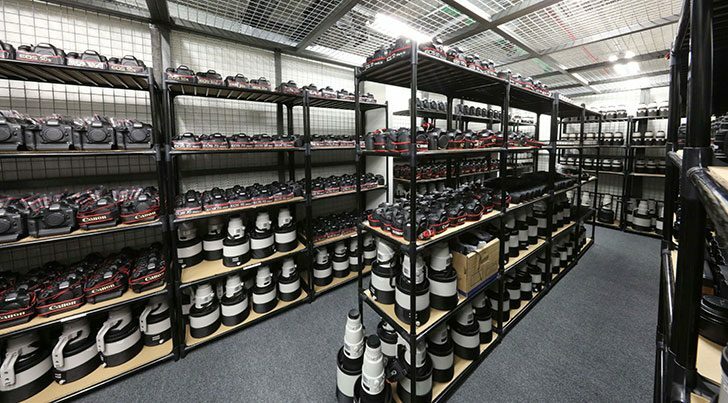 From pro DSLR cameras and EF lenses to broadcast television lenses, Canon’s award-winning service and support staff will be providing preventative maintenance and repairs to help professionals who have put their trust in Canon imaging equipment. Canon’s team of over 70 highly trained technicians and support staff will be in Brazil for nearly a month to support professional photographers and broadcasters, just as they do throughout the year. Canon Professional Services (CPS) is set to provide comprehensive equipment maintenance and repairs, extensive equipment loans and expert technical support. A majority of Reuters photographers from around the world will be using Canon DSLR cameras and lenses and trust Canon products and award-winning support team to keep them up and running. “Photographing large sporting events for thousands of news outlets and an audience of billions requires meticulous planning and technical resilience. The staff and engineers from CPS help ensure that the Canon cameras used by the world’s top sports photographers receive precision treatment that allows them to take pictures that capture key moments and illustrate the spirit of competition,” said Kevin Coombs, editor-in-chief for Thomson Reuters. The Canon EOS-1D X Mark II DSLR camera and ultra-wide zoom EF 11-24mm f/4L USM lens were selected to be used for Getty Images’ new high-tech, remote-controlled underwater robotic system. The camera provides Getty Images with a fully networkable solution that features precise white balance, a blazing fast frame rate and impressive low-light capabilities, which make the camera ideal for capturing fast action. When combined with the durable and rugged EF 11-24mm f/4L USM lens, the system will allow Getty Images to capture images at extremely wide perspectives with incredible sharpness and minimal distortion from the center of the image to the periphery, all across the entire zoom range. “As the world’s leading visual communications company, we believe that our world class sports photographers must have the most up-to-date photographic technology that empowers them to do their job, and to do it exceptionally well.